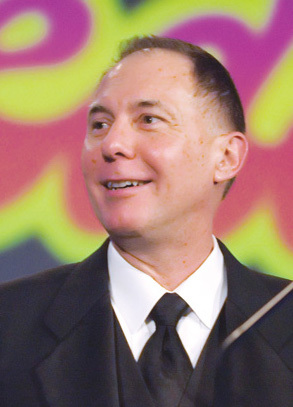 On October 15, 2007, Roger Wedell received the Kuchling Humanitarian Award from the Dallas Black Tie Dinner, annually the largest annual fundraising event in the City of Dallas. The following is the written text of his acceptance speech that evening before an audience of 3,000 guests. Those of you who know me know that I am rarely at a loss for words. Tonight, however, I struggle not just for words, but for the best words. Thank you to the Black Tie Dinner Board of Directors for selecting me to receive this singular honor. Also, thank you to those good friends who were so generous, if very one-sided, in the video. I am deeply honored, and humbled, to be the 2007 recipient of the Kuchling Humanitarian Award. The list of previous awardees includes friends, colleagues and mentors, and it remains a surprise to me, even tonight, that I will be included in their company. I am indeed grateful to family, both of origin and choice, for their support and encouragement, and to friends who have frequently indulged my "just one more project." I would be remiss if I did not thank the various boards of directors, especially that of the Legal Hospice of Texas, for both hiring me to do good work and for giving me the freedom to continue my community involvement … and to the staff and volunteers of those organizations and agencies who have been understanding of my periodic absences and divided attention. If I have had successes and accomplishments, it is due in large measure to the communities that I am a part of. It takes people working together to effect social change, and that is one of the hallmarks of our community – working together. I have had the privilege and good fortune to work with many of you in this room and with many others over the years. And I look forward to continuing our efforts until basic human and civil rights are secured for our community. We can be rightfully proud of the progress we have made, but there remains a great deal of work yet to do. In the months and years ahead opportunities for advancing our cause will be more closely tied to our effective partnering with other communities who also face systems of exclusion. We are much stronger together than apart. It will be exciting … it will be exciting! And it will transform the city. I can think of no greater recognition than to be known as a "humanitarian," nor can I think of a community whose recognition I respect more than this one. I will not forget tonight, and I will treasure this award. Thank you very much.